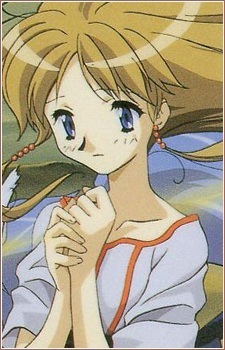 Lieza is a girl from the village of Holn, who has the ability to control monsters. This ability attracted the attention of the Romalia military, which began to look for Lieza, as she would be useful for their Chimera project. Lieza meets with Elc at on the airship, where she and her pet monster Paundit are being held hostage.